The people listed as living with him on the 1860 census, possible family? It seems like I know a lot about Paul Mayer, though it’s all stateside. I want to learn more about his family in Germany, which is why I was excited to find that he had received his certificate of citizenship in Richmond, IN. I hope to find more of his naturalization papers there since I have yet to find anything on any index available. 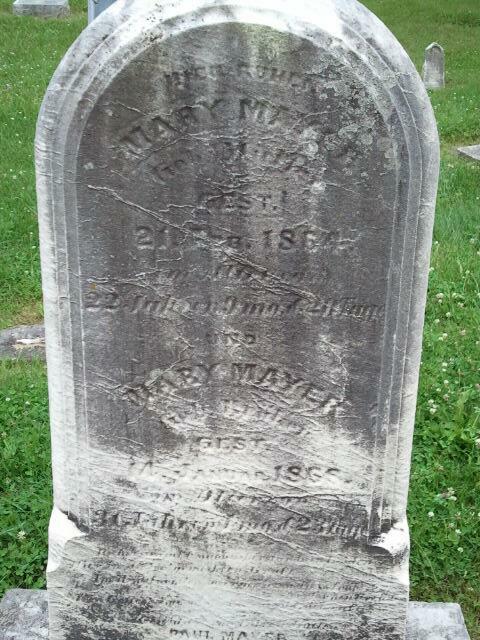 Interesting fact about the Two Mary’s (as I call them): He used one headstone over their graves.